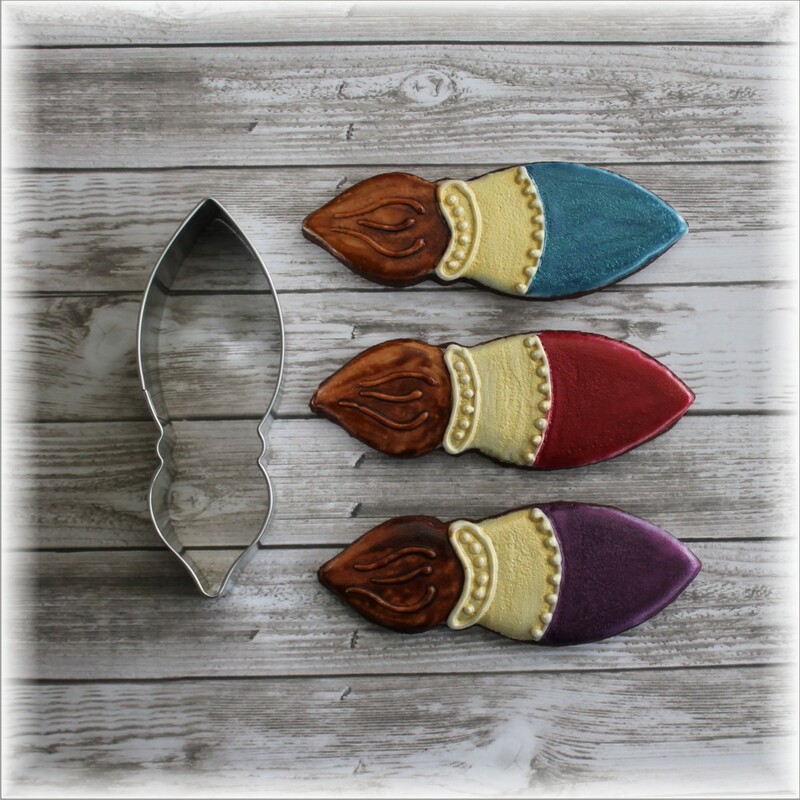 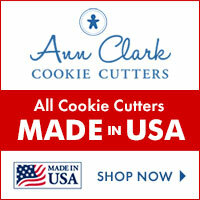 You probably already know Ann Clark and their wonderful cookie cutters, all made in the USA. 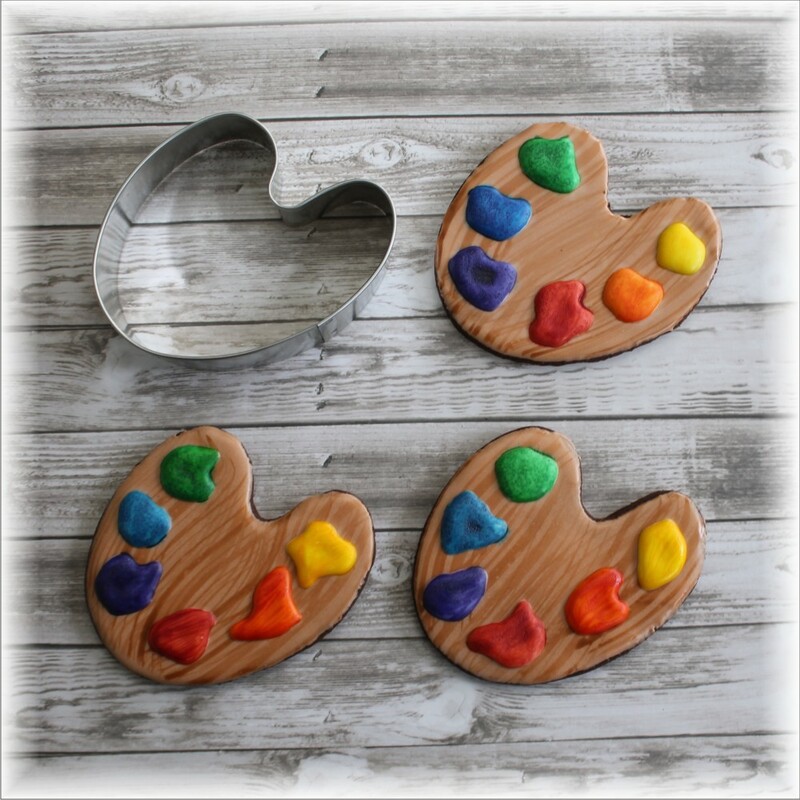 I partnered with them and we created our first two shapes together: the paint brush and the palette. 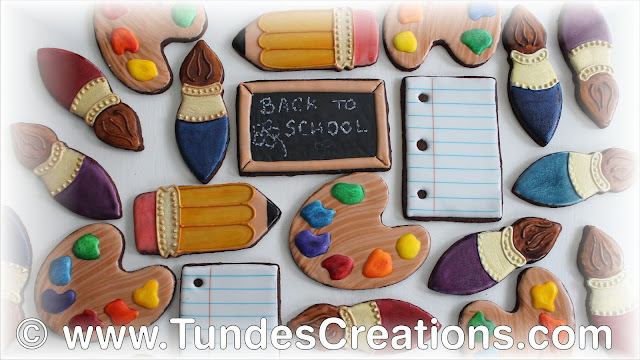 Combined with their rectangle and pencil cutters they make an awesome back to school set. 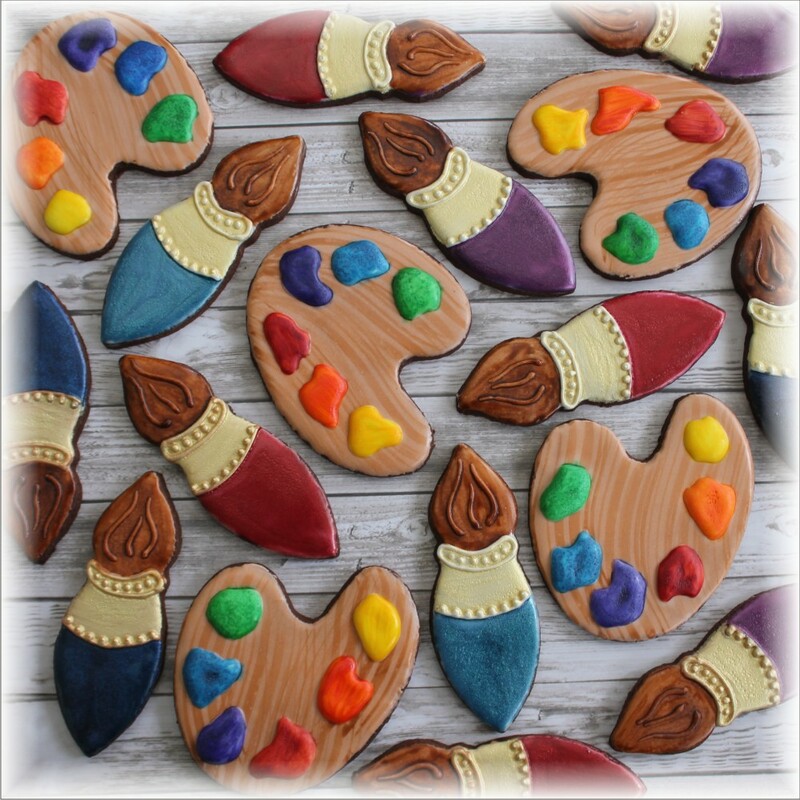 This is the paint palette cutter and the cookie version. Here is the paint brush cutter with some cookies. 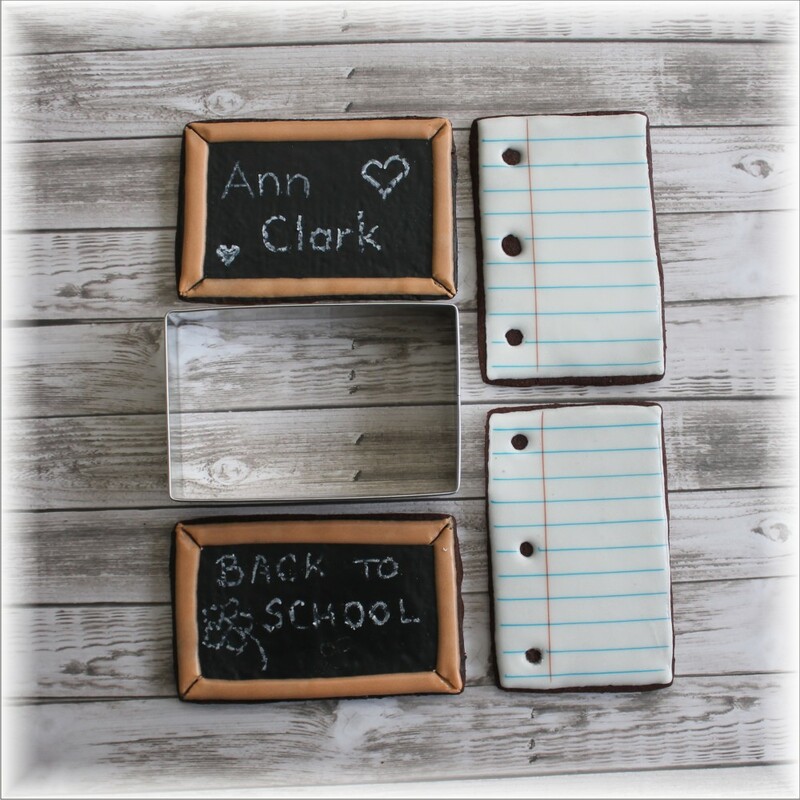 And the mini set together. Just these two shapes can make a fun, cheerful gift for any aspiring artist. 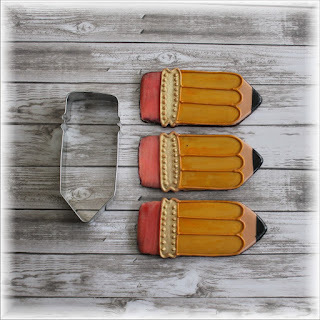 The Ann Clark pencil cutter to go with them. 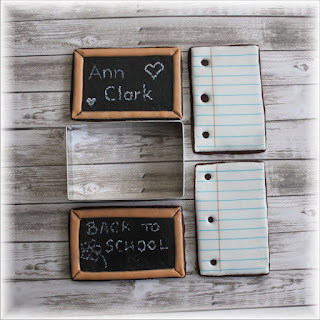 And the rectangle can make a blackboard cookie and a ruled paper cookie. 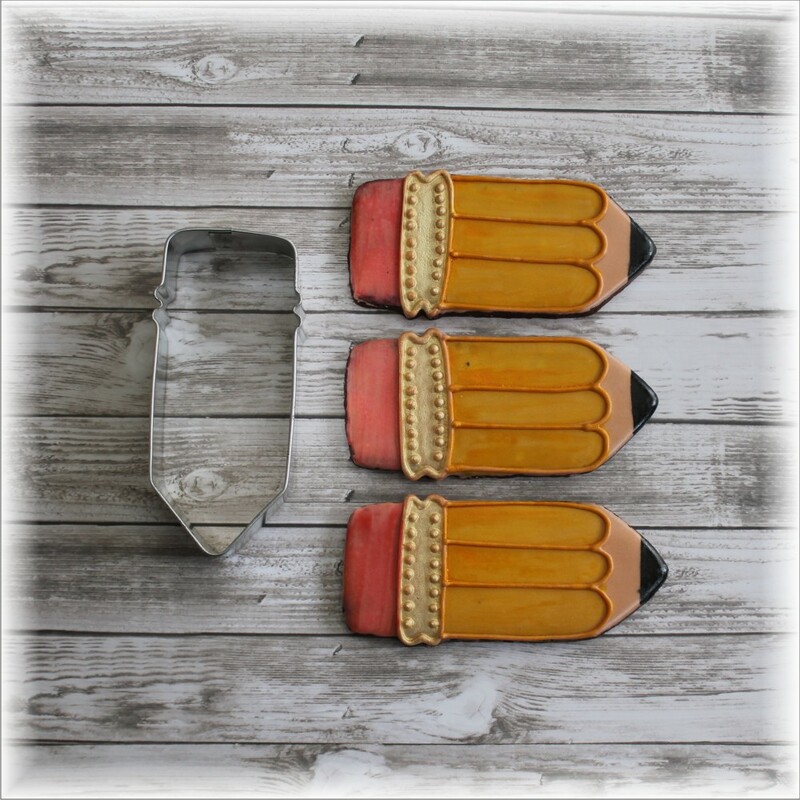 I re-opened my Etsy shop, so you can get all they supplies I use and you were always asking me about. I added this fun set to the store.